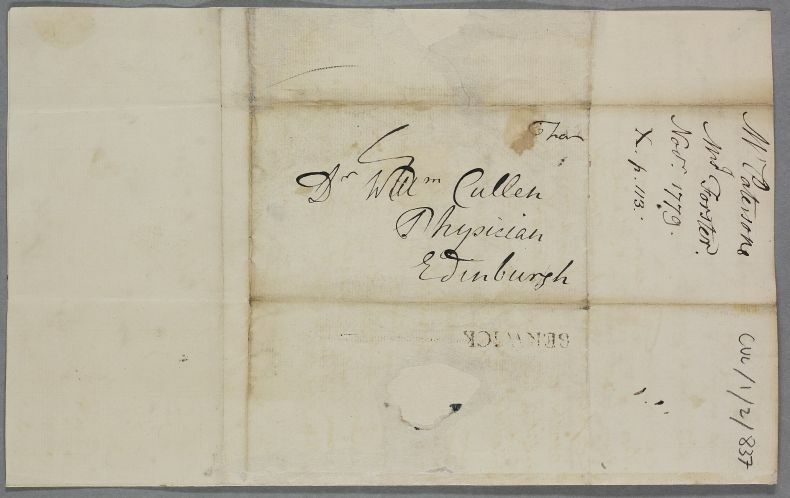 Letter from Ralph Patterson concerning the case of Mrs Forster, the wife of postmaster Ralph Forster. 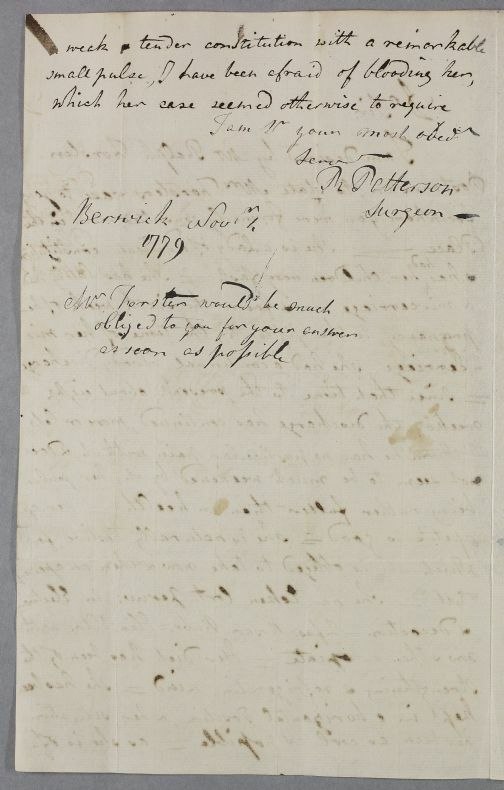 Summary Letter from Ralph Patterson concerning the case of Mrs Forster, the wife of postmaster Ralph Forster. 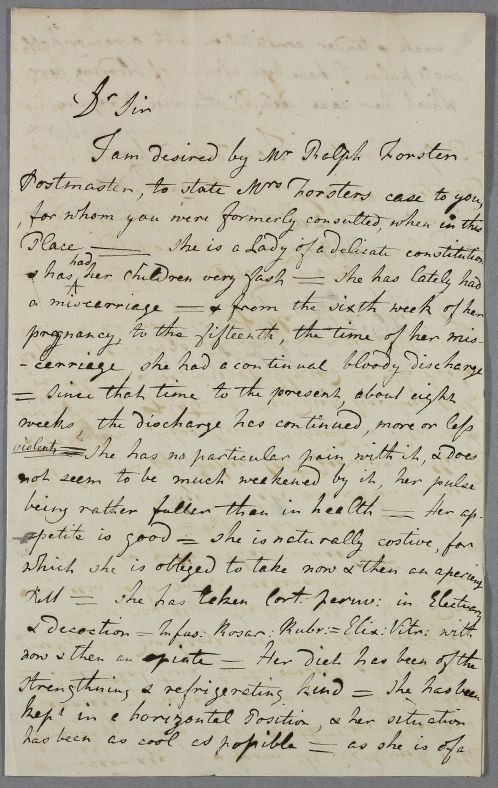 Case of Mrs Forster, wife of the Berwick postmaster, who in 1779 has complications after a recent miscarriage. In 1782 she has a skin condition.